Ivory Coast's government has banned the production, importation and sale of alcohol in sachets on health grounds. The small plastic bags, containing rum, vodka or other spirits, are popular with those on a budget - costing between $0.35 (£0.28) and $1.65. The ban was aimed at minimising the impact of alcohol on young people, especially students, government spokesman Bruno Kone said. A ban on the sale of water in plastic bags led to protests two years ago. They were banned by the Ivorian authorities in a bid to reduce pollution. The decision to ban the sachets of alcohol was taken after a cabinet meeting on Wednesday and had been proposed by the ministry of commerce, Mr Kone said. "These products are mostly smuggled into the country," the APA news agency quotes him as saying. "They do not meet our standards and therefore constitute a real threat to the health of consumers - and a threat to the country's economy." 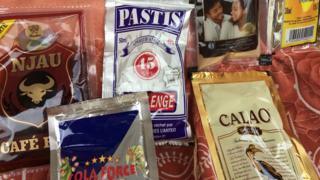 Cameroon, Malawi and Senegal have also banned the sale and production of alcohol in sachets in recent years.